Exclusive Listing. Located in the copular Village Place Trailer Co-Op Park next to Goldstream Park. 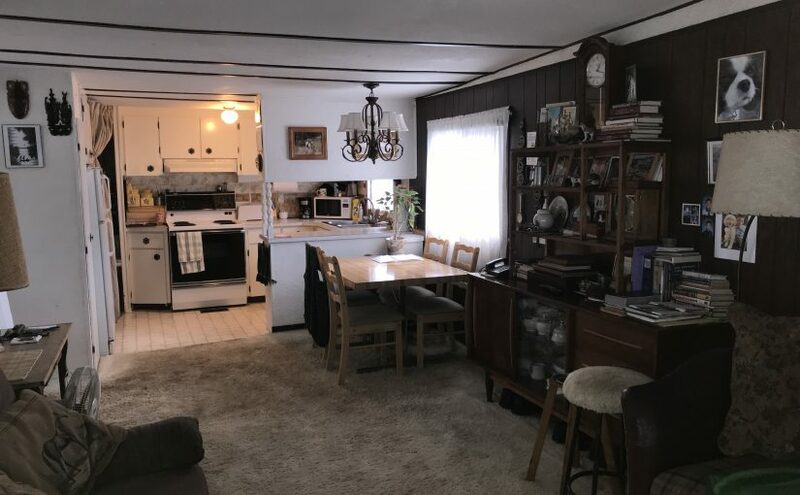 No Pad fee, just a monthly maintenance fee currently $225 per month, includes Water.Septic and Garbage.Upgraded windows and furnace( not original) Second Roof Structure creates and covered carport. Well run Co-Operative, purchase includes 1/93 share of the park(approx 10 acres). Pets Allowed, Occupants 19 years of age or over. Easy commute to Langford Box Stores and Highway to downtown Victoria and up island just 5 minutes away. Goldstream Park within walking distance. Viewing by Appointment Only. View Anytime 24/7 with my Virtual Tour.